Newco Industrial Service began selling high performance coating solutions in 1998. Serving customers in the adhesives and sealant processing, automotive, food and beverage, graphic arts, nonwoven, textile, tire and rubber, and bookbinding industries, our goal was to find the best solutions for sticking, sliding, abrasion, and corrosion problems. Every day, our customers contend with sticky adhesives that create all kinds of down time and process costs. Since we rebuild much of this equipment, we understand the problem and the need for the best possible solution. Surface engineering solves sliding (coefficient of friction), release, non-stick, abrasion resistance, traction, anti-corrosion, bio-film reduction, chemical resistance, and durability. It also improves your process line speed and product movement. Our proprietary coating solutions extend the life of parts and equipment, and increase uptime with less cleaning, which reduces line stoppage and downtime. All of which have a direct impact on your production and profits. Formulated for your specific needs, we can analyze the application and offer the best possible solution for processing, packaging, and transporting processes. In 2005, we decided to in-source the application of the coatings to our customer parts, gaining more control of turnaround times and process quality. Today we have assembled a team with over 30 years of combined coating experience. Our state of the art equipment is designed specifically to apply the coatings our customers need. Over the years our staff has developed relationships with the manufacturers of coating materials. These include key suppliers DuPont™, Whitford, Akzo Nobel, Daikin, Praxair, Oerlikon Metco, and Dow Corning. In addition to our knowledge of coating attributes and where to use them, we have strategic relationships with their chemists. This combination insures that our customers have a one-stop shop for solving their sticking, sliding, wear, and corrosion problems. Additionally, Newco holds key memberships in the Society of Automotive Engineering, the American Society of Manufacturing, and Thermal Spray Society. NIS has been providing custom coating solutions to manufacturers and OEMs for over 13 years. We understand your unique challenges and can provide proven coatings to meet your specific needs. We are an industry leader in innovation and offer coating solutions unavailable through other suppliers. In this highly competitive environment, your business demands state of the art products, processes, and suppliers. Our very own Curt Jarrell was interviewed by Intech Services as part of their Teflon Pioneer series. Intech Services is the sole seller and distributor for Teflon™ coatings in North America. Having been in business for 25 years, Intech is proud of the relationships they developed with their coaters to deliver the highest standard of service when selling the highest standard of fluoropolymer. Curt Jarrell of Newco Industrial Services has had a long-standing, devoted career with Teflon™ industrial finishings, and has had several accomplishments in the industrial coating field. He was one of the early adopters of Teflon™ and helped to shape the way the coating has grown and evolved to be a reputable industrial fluoropolymer. 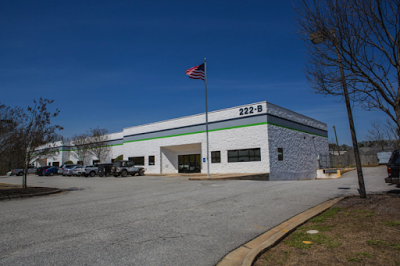 Newco Industrial Services is located in Fairburn Georgia and has been applying Teflon™ industrial coatings for the past five years. They specialize in applying technologically advanced coatings to enhance and improve the properties for release, nonstick, low friction, abrasion, wear, and corrosion-resistance, dry-film lubrication, galling, noise reduction, high temperature, and FDA-compliance. Curt generously took some time to speak with us and share some of his successes, challenges, and views on the future of the industrial coating industry. Q: When was your company founded? Newco was founded in 1996. Q: Who founded the company and why? Gerry Hicks founded Newco with the primary purpose being to serve the diaper industry. Actually, it was to serve the equipment that manufactures diapers and feminine care products. The company was built around the equipment side of things that needed coatings. There was a need for coatings because diaper construction uses an adhesive that is very sticky. You can’t run the line without some kind of coating. Q: What was the first significant piece of equipment you purchased? We purchased grit blast equipment, ovens, and a spray booth all at the same time. Q: How would you describe the changes in the company from when it was first started to now? The company has really expanded. We do a lot of work in the food industry. Our biggest segment is the automotive industry. We do a lot of work with the robots that build cars and a lot of the sealants that are used to seal the windows in and seal the body. Much of that requires coating because there is a lot of urethane involved. We do work with several companies in the food industry and feminine care industry. So the biggest change has been the overall expansion. The company is five times the size it was when it started. Q: What would you consider significant milestones in your company? Probably the most significant are the problems that we solve. We are a reliability- centered maintenance type company. So what we do is go in and do recall analysis, mode of failure for problems that they have, and keep their cost down and their manufacturing up to keep their run time up. An example of a significant milestone for us is at Mercedes. We had 27/28 reliability projects, which were initiatives we created for them within the past year. For us, the most significant milestone is serving our customers well. To be able to help them with their problems and make them more competitive and more successful with what they are doing. Coating fits into that because so many times coating will extend the life of a part making the process work better. For example, a significant milestone was enabling sugar manufacturers to go from forty bags a minute to sixty bags a minute with a more accurate weight. It saved them $600,000.00 a year on their line. Everything for us is customer centered, which is anything we can do to make things better for them, and coatings play a big role in that. Q: How has the coating industry itself changed over time? One of the big things we’ve seen, as coatings have been around a long time, is higher customer awareness, which sometimes can be negative. They see coatings as something that belongs on cookware, and we serve the industrial market. We have seen better performance, better durability, and better selection. Selecting the right coating for the right application has changed the perceptions of many. The greater awareness of coatings mostly came from the cookware industry and was not well understood in the industrial market until we come in to help match up the coating to the application. Q: When did you get your LIA license from DuPont? I’ve had 2 LIA licenses. I had one at my previous company and have one at my current company that I have had for the past 4-5 years. Q: How has being an LIA affected your company? The biggest effect is the credibility it creates. We have a lot of international customers: Mercedes, BMW, Hyundai, and Kia. The legacy of Teflon™ carries a lot of weight. So that is the biggest impact. Q: What is your favorite Teflon™ coating? My favorite would be Ruby Red. It’s just a versatile coating for the industrial market. It can do a lot of things: it has high durability and a strong chemical application, and you can use it where you need nonstick and abrasion resistance. It holds up well. You can change the thickness of it to accommodate a high wear application. Abrasion and chemical resistance as well as nonstick and overall ability to tailor to the application is pretty. Q: What excites you about the future of the coating industry? The thing that excites me the most is that coatings have been around since the 30s, yet in the future there will always a spot for coatings. They’re timeless. So, I don’t think we’ve reached the end of the road yet, and that’s pretty exciting. Curt's contributions to TeflonTM and the industrial coating field as a whole are great successes within our industry. We extend our thanks to Curt Jarrell of Newco Industrial Services.